A man in his 20s has been stabbed to death in east London. Emergency services were called to North Birkbeck Road in Leyton, Waltham Forest, at 16:26 GMT. Police officers and medics found the man with multiple wounds and he died at the scene at 17:10. He is the 21st person killed in London this year. 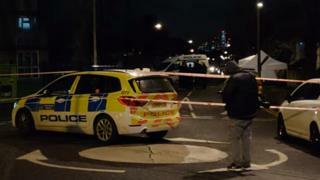 The Metropolitan Police has launched a murder investigation and is in the process of informing the victim's next of kin. Mayor of London Sadiq Khan said on Twitter his "heart goes out" to the victim's loved ones.